Randolph College’s Black Student Association (BSA) will host its first-ever Conference for Social Justice in Education on Saturday, Feb. 23, from 8 a.m.-3 p.m. The theme is “Being Black in the Diaspora,” and the program will feature panel discussions, workshops, and a keynote by Noliwe Rooks, an Africana studies professor at Cornell University. The conference is designed to provide an opportunity for educators, students, parents, and other community groups to have a conversation about the challenges and solutions to achieving social justice in education. 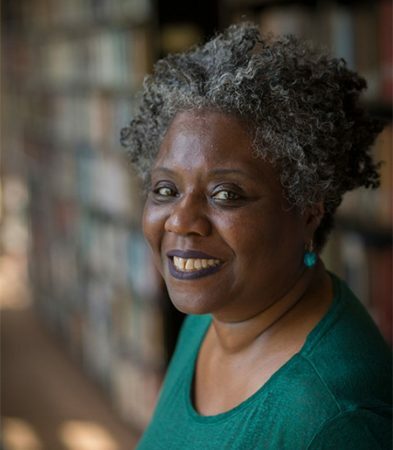 As the keynote speaker, Rooks will offer her interdisciplinary expertise in race and gender, and discuss how both impact and are impacted by popular culture, social history, and political life in the United States. Most recently, she has worked on a book project about the profit-driven connections in the education sector, and has published the book, Cutting School: Privatization, Segregation, and the End of Public Education (The New Press, 2017). Rooks received her bachelor’s degree in English from Spelman College and her master’s degree and Ph.D. in American studies from the University of Iowa. She has also written numerous articles, essays, and op-eds for publications like The Chronicle of Higher Education, TIME Magazine, and The Hill. Pre-registration is required at www.rcbsa.eventbee.com. For more information and the complete schedule, please contact rcbsa@randolphcollege.edu.